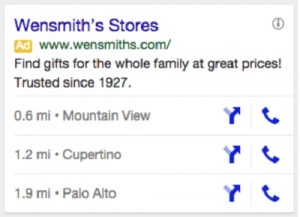 Should mobile ads look different to desktop ads? This question comes up often, so you’d think there isn’t a clear answer. But there is. Yes. Yes, young Padawan, yes! This goes beyond design. Your strategy should be different for mobile ads as well. When a person searches on his or her phone, he or she is going to behave in a hugely different way than someone sitting at a laptop or desktop computer in a home or office. Which means that if your PPC strategy doesn’t account for those differences in behavior and expectations, a sizable chunk of your ad budget is going to waste. 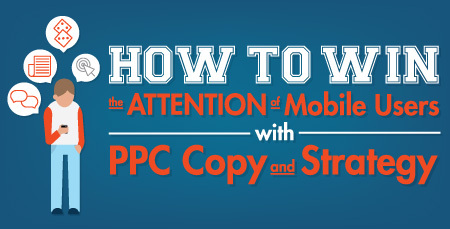 Mobile eyeballs are increasingly important to all search advertisers. If you aren’t thinking about mobile users while writing your ad text or developing your PPC strategy, I have news for you straight from the mouth of Google: As announced in May of 2015 using internal Google data, “… more Google searches take place on mobile devices than on computers in 10 countries including the US …” The era of mobile search has hit is peak! Thankfully, search engine advertisers have been bracing themselves for this moment for years, and AdWords is well prepared with many features that can make your ads shine on mobile devices—from mobile bid adjustments to mobile preferred ads, to call-only ads and mobile app extensions. All of these tools are useful for holding any mobile addicts’ attention. Mobile search users have many traits that advertisers tend to hate. But, you can turn these zombies into customers with just a few tweaks of your ad copy and a few strategic shifts in thinking. Let’s start by looking at how mobile searchers are different to their desktop counterparts. 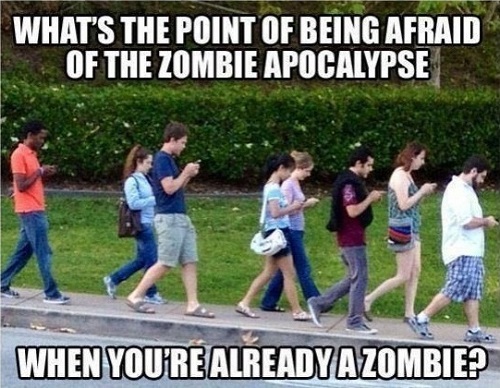 Sure, they are distracted, as a mobile user may be walking down the street, riding in his or her car, or waiting in line at the bank. This means you need to use a strong call to action to hold attention and provide value from the moment a user sets his or her eyes on your ad. Strategy Tip: Use attribution and analytics to understand when a user leaves his or her device and revisits your site or converts on a different device. Don’t dismiss a valuable ad or keyword because there is no direct conversion—the conversion could be there, hidden in the data. Also, don’t hesitate to use remarketing. With remarketing, you can advertise to those who have left your site without converting and retain top-of-mind awareness. More and more, advertisers are using remarketing ads on mobile phones and seeing benefits from bringing already interested users back to their sites. Use text like “near you,” “visit now” and use the name of your city or neighborhood to show you are local. Strategy Tip: Consider building a separate campaign with narrow location targeting around your physical location. Tailor the messaging of the campaign to entice mobile users to visit when they are located close by. We have all heard about the impatience of mobile searchers, which means it is ever important to make sure your website is giving mobile users a good experience. Test your site’s speed on mobile and its mobile compatibility. And when writing ad text, keep your copy short and sweet. Get to the point quickly. Urgency is key. It’s best to get the benefit right out in front of users. If you offer a free trial, a prompt consultation, a steep discount, or use only the highest quality fish sauce, make your ad stand out by showing what differentiates you from all the other advertisers out there. Don’t save it for your landing page—put those benefits right in the ad. 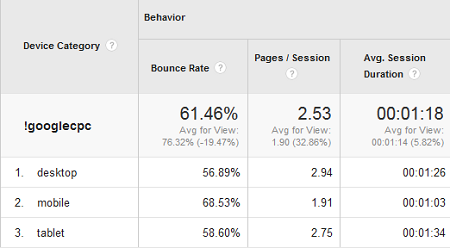 Strategy Tip: You can gain a better understanding of how well your site performs on mobile by analyzing bounce rate, average time on site, and average number of pages viewed by users who click on your mobile ads with Google Analytics on a page-by-page and ad-by-ad basis. Also, there are a lot of speed test sites and mobile testing sites (like Google’s Mobile-Friendly Test) that can help you provide peak site performance to those on mobile and analyze any weaknesses your site may have when a user arrives from an ad to navigate your site. It’s true, mobile users do love their apps. 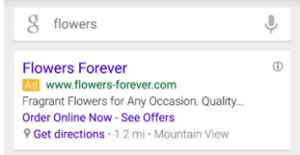 This is a great opportunity if you are advertising an app (you can use a mobile app extension in your AdWords ad) but if you’re not in that boat, apps can hurt your display campaign badly. It’s a good idea to exclude adsenseformobileapps.com—Google’s mobile advertising catch-all site as viewed in placements. And keep an eye on where your ads are showing up in your display placement report. 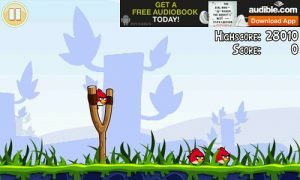 Google automatically places display ads on mobile apps even when they are excluded, which can create mistake clicks during gameplay. To sum up, it’s a brave new world for those advertising on mobile devices, but with some careful strategies put into place and some deeper understanding of the behaviors of mobile searchers, we can really deliver those on mobile devices the information they’re looking for and do well for our bottom line. Tweaking your mobile strategy will help you reduce wasted spend and so will dialing in your negative keyword strategy. Our guide to negative keyword success (and list of more than 1,000 negative keywords) can get you started. 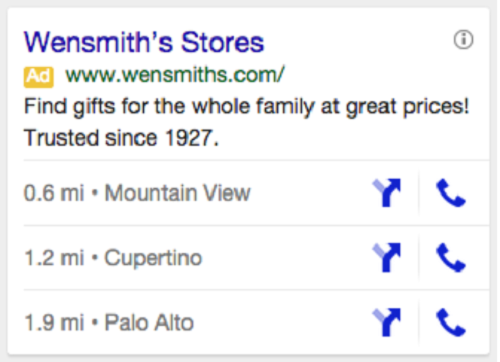 Previous Previous post: How Do I Get A Higher Quality Score in AdWords?